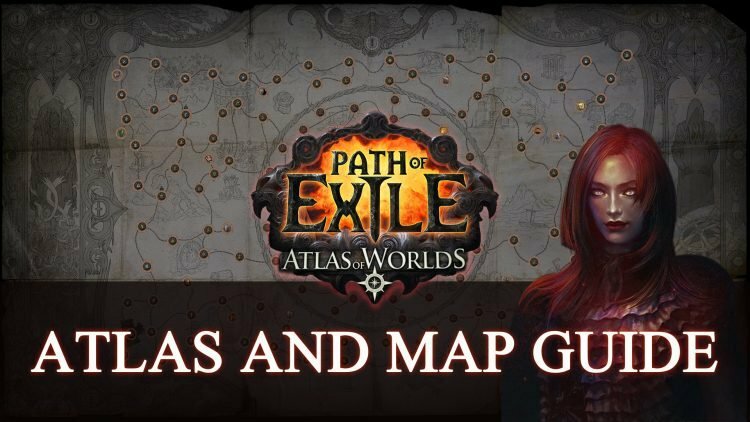 In this Beginner’s Guide to Atlas of Worlds and Maps 2019 we will cover all the necessary info about mapping in Path of Exile. Maps are an end-game system that lets you complete many different types of maps with the added benefit of different modifiers for additional rewards. Atlas of Worlds is a visual representation of maps along with completion rate. The Map system becomes available after finishing Act 10. 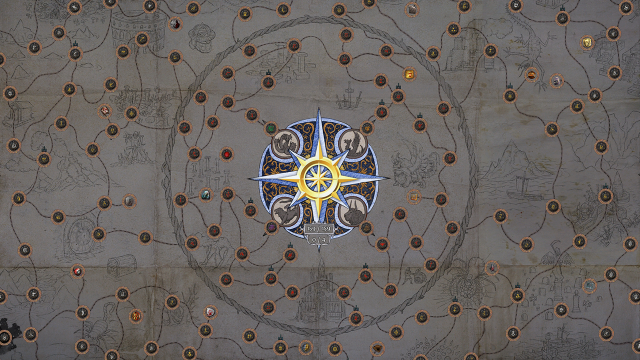 This means you will have needed to finish all story acts which will leave nothing more to do excepts Maps, which is explained to some degree in the Epilogue of Path of Exile. Maps will start dropping somewhere around Act 8, but you won’t be able to use them until Templar Laboratory has been reached in Act 10 of the Epilogue. So what do we get by completing maps? We gain more EXP making it much easier to level up, gain more powerful loot and lots of currencies. To use maps, you will need to put them into the Map Device that is located in Templar’s Laboratory and Chamber of Sins (Act 7). This opens 6 portals that lead to a specific location, the location is dependent on the Map item that you have put into the device. 6 portals means you can enter that same map 6 times before losing access to it. The biggest issue here is quite an obvious one – what to do with all the loot picked up here? Well there is no way of selling and stashing it so that means leaving the map in order to do so. This is why the portals exist, to give you the chance of collecting items found there and bring them back to vendors or to stash. Expect a large amount of loot to choose from, so be very picky with the items you gather there, otherwise you will find that 6 portals just won’t be enough. At first there will be only lower tier map drops made available to you. In order to gain higher tier maps, simply play the maps you already have. Magic (Blue) and Rare (Yellow) enemies on these maps have a chance of dropping +1 tier maps respectively, while Map Bosses have a chance of dropping +2 tier maps. Be careful about moving to higher tier maps because the jump in the difficulty level can be quite significant. The higher the tier, the more challenging the mods are as well as the higher their stats. The Atlas acts as a visual representation of your progress, you can easily see from the layout which areas you have completed and which you have not. Nodes indicate how far you have progressed on this expansive map tree. Completing more maps increases the chance of higher tier map drops. Another important thing to note is that before a map is complete, it can only drop from the previously connected map on the node. After it has been completed, it can drop from ANY map in the same tier range, meaning it does not drop only from maps that are connected anymore. There is another rule that can help in farming necessary maps. If you have 2 locked maps connected to a map you are already running and connected map drops, it has got a 50/50 chance of being one of those 2 connected locked ones. If one of connected locked ones has already been done (unlocked), then it becomes 66/33 chance in favor of the locked. Orbs are needed to improve rarity of Maps. By using the Orb of Transmutation on a White Map you will create a Magic (Blue) Rarity Map. Orb of Alchemy on a White Map creates Rare (Yellow) Map. To corrupt a map, first use Orb of Alchemy to make it Rare. 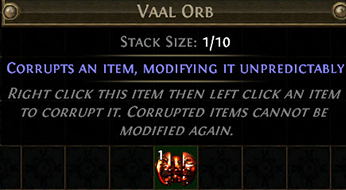 Then use Vaal Orb to Corrupt it. Be warned that when corrupting maps there is a chance that the whole map will change and won’t grant you completion if you finish it because requirements weren’t met. Zana is an important end-game npc. She is encountered for the first time during the Epilogue when she introduces Atlas of Worlds to you. After that she can be encountered in the wild in maps and in the Eternal Laboratory after completing her first mission. Once Zana reaches level 2 you can recruit her to your Hideout. Sells Maps based on her level. Map Pool changes when she levels up and when dailies have been completed. Besides upgrading map rarity, there is a lot more to map crafting. Higher tier maps (especially upgraded ones) can be quite challenging. Some builds can handle only specific affixes while others won’t be able to survive them at all, this is why the crafting system is here. There are a lot of items we can use on Atlas and Maps to help change things around, so let’s go over the most important ones. 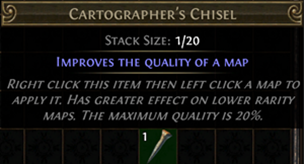 This item is used to increase Map Quality. Every usage increases quality by 5% up to maximum of 20% on normal (white) maps. Higher map quality increases item quantity which in turn increases the chance of maps dropping. Only the map item quantity bonus affects the drop rate of maps. Increased Item Quantity and Increased Item Rarity on gear does not affect map drops in any way except for Unique Maps which are affected by those stats. Best way to use Cartographer’s Chisels since they are not easily obtained, is when trying to advance from Yellow Tier maps to Red Tier, and on Red Tier maps to increase drop rates for the highest level ones. Also make sure to use them only on normal maps, not magic or rare ones. Quality bonus decreases depending on map rarity. On magic (blue) ones that bonus is 2% and on Rare (Yellow) and Unique (Orange) that bonus is only 1% per Chisel. This item can be used to remove all affixes and implicits on Magic and Rare maps. A very useful item for maps that you want/need to run, but have rolled horrible affixes that just do not work for the build you are running. 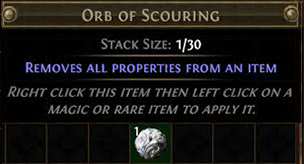 So instead of wasting that map, use Orb of Scouring to remove everything from it except map quality which is constant. Also the Orb of Scouring will not work on removing Corrupted status from maps. These 2 are the most common currencies that drop all over the place, so it should not be an issue having them in high quantities. They also have their uses in map crafting as well. Orb of Alteration reforges the magic (blue) map with all new modifiers. Orb of Augmentation adds new random magic modifier to the magic (blue) map. Although these currencies are easy to hoard, it is more worthwhile to use Orb of Alchemy to get the Rare map with lots of modifiers. 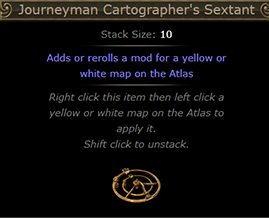 This item is applied on the Atlas and creates a circle where the Sextant specific modifier is applied. Every map that is located inside that circle, will have Sextant’s modifier applied. 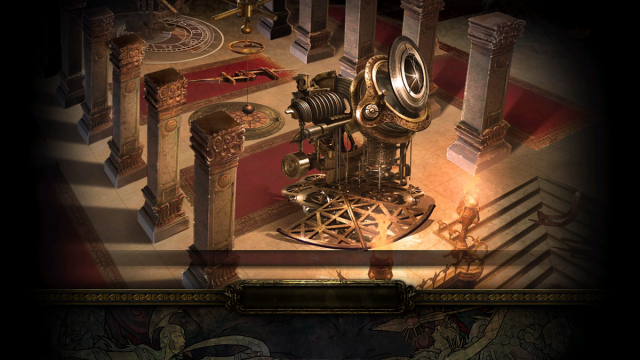 Sextants are currency that drop from enemies and chests in maps, but are extremely rare. If you do not have a clear plan on where and when to use them, it would be for the best if sextants are saved or traded with other players. You can also trade 3 Apprentice Sextants for 1 Journeyman and 3 Journeyman for 1 Master. This item is used to uncomplete the map you have already completed. There are 3 versions, same as with Sextants. Apprentice version for tier maps 1-5, Journeyman for 1-10 and Master for all tiers. So why even use Cartographer’s Seal if it is going to uncomplete a map you have already finished? Once you complete a map it becomes a part of your drop pool, it has a chance to drop when you find maps. Not every map may be worth running though or adding to the drop pool. Let’s say you are fond of tier 14 Map A for whatever reason, but don’t enjoy tier 14 Map B, then it may not be that wise to complete Map B and add it to your drop pool, where it reduces the drop rate of your Map A.
Cartographer’s Seals are currency that can drop from enemies and rarely from chests. You can also trade 3 Apprentice Seals for 1 Journeyman and 3 Journeyman for 1 Master. When using Zana’s map device there is an option to add specific modifiers but they cost Chaos Orbs. Make sure you are satisfied with the map you want to run before wasting Chaos Orbs, since they are a precious currency to have. It is recommended to use this method only on Red Tier maps (11-17). 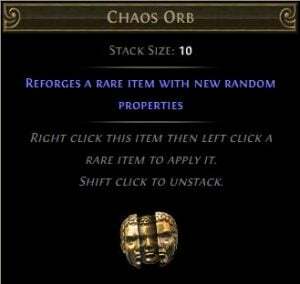 Chaos Orbs are a currency that can drop from enemies and chests. By trading a full set of rares that are lvl 60+, you will receive 1 Chaos Orb. If that set is unidentified then you will receive 2 Chaos Orbs instead. If that set is unidentified and every piece has 20% quality, then you will gain 3 Chaos Orbs. Fragments are items that are used with the Map Device. Opening new areas is not the only use for these fragments. When using any map in map device and adding 1 fragment to it, you will increase Item Quantity by 5% if its a Sacrifice fragment, and by 10% if its a Mortal fragment. Fragments can stack as long as they are not duplicates. These orbs are items that are used to upgrade map tiers and are a non-tradeable item. Shaper’s Orb increases tier of the map by +5 and puts prefix as Shaped. 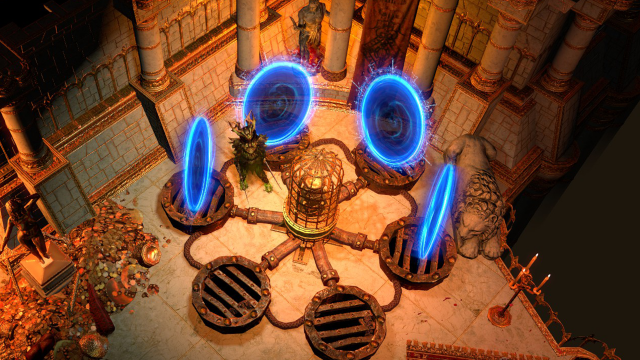 By increasing map tiers with Shaper’s Orbs only the difficulty will be increased, so it will not a increased item rarity, quantity or monster size. But this orb can be used to increase monster and item levels. Shaper’s Orbs are obtained by giving Memory Fragments to Zana. Memory Fragments are found by killing the bosses of Elder-influenced maps circled in purple on the Atlas. The end-game Map system is quite a complex one to master, but after you invest some time into maps and hopefully with the help of this guide, things will gradually start to fall in place. Soon you will start devising you own strategies on how to run Atlas successfully! The most important recipe to know is that selling 3 same tier maps yields 1 map that is 1 level higher. This is a very useful formula to keep in mind! Using Vaal Orbs to modify maps is worth doing, as it will add many modifiers and give you a chance of receiving +1 on the rerolled map. Returns from maps are in most cases worth it. Atlas completion is a great way to increase chance of higher tier maps dropping. Completing first all white then yellow maps is the recommended approach. Item Quantity, Item Rarity and Monster Pack Size are the most useful modifiers that you can get on a map. Good Affixes: increased monster damage, reduced player resistance, more unique bosses. Bad Affixes: monsters reflect damage, monsters take reduced damage from critical strikes and areas have patches of ground type. There are more things to cover but this should be enough for everyone to hit the ground running and understand the system to a certain degree. We hope you enjoyed reading this guide and that it helps you on your journey through Atlas! 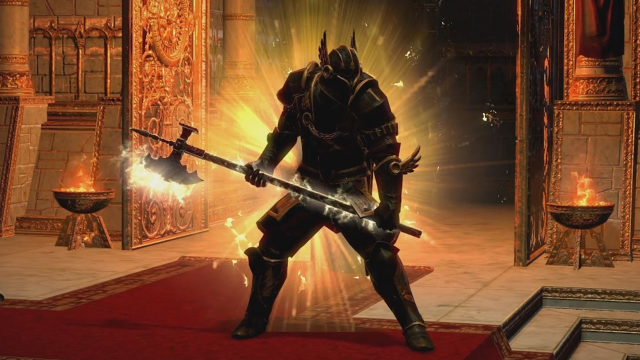 If you enjoyed this guide be sure to check out more of our Path of Exile guides in Path Of Exile: Beginners Guide 2019. Or you can read about the latest news in Path Of Exile Release Gets Delayed Until February 2019. Stay tuned for more of our Guides, be sure to read our Prophecies Guide and Hideout Guide next.